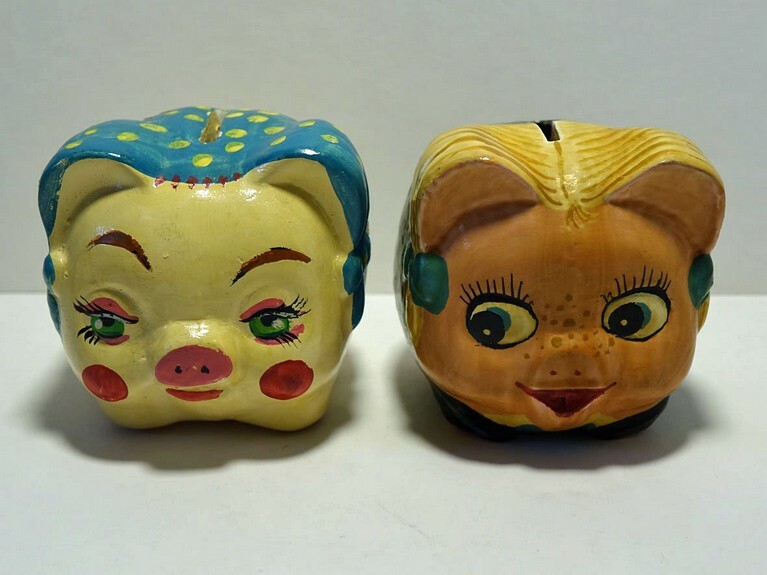 Two seemingly simple piggy banks from Bulgaria. How do I know they came from there? Because the one on the right came from a collector who sold me her collection in 2006 and she bought this pig on a holiday in Bulgaria. So do you also find out the ' provenance ', it's not that complicated…..